CUrrent wait times for live sessions are approximately 3-4 weeks out. current wait times for recording only sessions are approximately 2 weeks out. please indicate which option you would prefer when sending in your information. Do you repeat patterns in friendships, romantic relationships, and family relationships leaving you to feel 'stuck' in those patterns? Is there a romantic relationship from your past you cling to that keeps you from moving on to a new relationship? Was there a traumatic event in your childhood that sparks anger or resentment in you to this day? 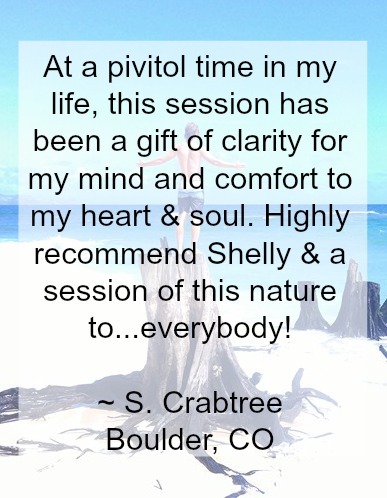 You may benefit from an Energetic Cord Cutting Session with Shelly. Energetic Cords form with significant people, places, and events in our lives such as parents, employers, friends, and exes and can affect us in a negative way. By releasing these cords we are able to let go of the negative energies contained within the cords and move on to having more positive interactions with those people (and others! ), should we choose to do so. Energetic Cord Cutting is safe, effective, and a lovely way to let go of negativity. For more information, please check out the Cord Cutting Page, complete with frequently asked questions and a few client testimonials. Have you ever wondered what you are here on Earth to do? Are you ever curious as to why you make certain choices in your life over and over again? Are you longing to know more about yourself on a soul level? Akashic Record Readings are a great way to learn about who you truly are, as I will be reading the 'energetic records' of your soul. 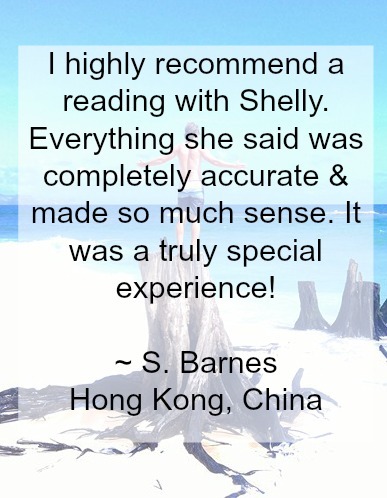 Akashic Record Reading clients had to say about their experiences. * Would you like to ask a question after your Akashic Record Reading? Please see below to find out how you can add this service on. ** Are you on a tight schedule or simply prefer to have your reading a bit sooner than the current wait time? No problem! You can have a recorded reading sent to you instead of having a live session. Recorded readings are usually delivered in approximately one week. Please indicate which type of Akashic Record Reading session you prefer when sending in your information and waiver. Would you like to ask a bonus question after your Akashic Record Reading? No problem! In addition to receiving the Akashic Record Reading Information listed above, you can add one bonus question from the areas listed below. 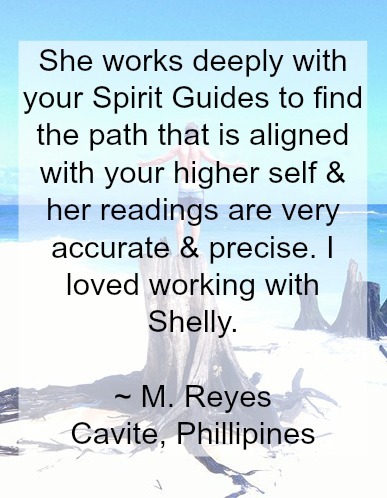 - Spirit Guides: Who is your Primary Spirit Guide? What energies does your Primary Spirit Guide bring forth? Is there a name they resonate with or a physical appearance they present themselves with? I will channel your Primary Spirit Guide for this information and may also be able to pick up on any specific messages your Primary Spirit Guide would like me to relay to you. - Career Path Options: Are you looking to change careers or aren’t sure what area of your life to focus on? I am able to look at a path (or two!) you may be considering and check the alignment of that career with your desired outcome as well as the alignment with your highest path and purpose. **Please know this is different than a Career Reading where we get detailed information on many paths you may be looking into and messages from your Spirit Guides are channeled. When choosing this option, please come to your reading with no more than 3 career options to look into. 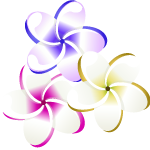 - Akashic Record information for your partner or children: Sometimes it can be helpful to understand the Energy Center of Training and/or the Soul Group of Origin for your partner or children. I am happy to look at these two pieces of information in the Akashic Records as it relates to the person you are interested in learning more about. **Please limit the number of people to look into to 2 loved ones. - Decision Making Question: Do you have a big decision you have been contemplating such as a move or a change in your current relationship? We can discuss a couple of options you are considering and check them against your desired outcome as well look at the alignment with your highest path and purpose. **Please know this is different than a Decision-Making Reading where we get detailed information on several decisions you may be looking into and messages from your Spirit Guides may be channeled. Do you have something that you have been pondering and need some clarity on? Do you have a feeling about what you may want to do in a situation, but would like a second opinion? Decision Making Readings can be a great way to help you decide which path to take. - Would moving to another state bring my family closer together? - Will applying for that promotion at work bring me more career satisfaction? - Would leaving my spouse bring us both happiness in the long run? - Will quitting my job and starting my own business bring me more financial stability? During a Decision Making Reading, I am able to connect with your Spirit Guides and Higher Self to find out specifically if the course of action you are considering will lead to the outcome you desire! I will also connect with your Guide and Higher Self to see if there is further information that can be communicated to you on their behalf. Decision Making Reading can make that decision a little easier! **Decision Making Readings typically take 60-minutes, but this may vary based on the type(s) of decisions we are looking at together. Everyone has an entire team of spiritual beings who are standing by ready to help with whatever you need. Isn’t that great? The key is figuring out how to communicate with those beings (your Spirit Guides) in order to receive their guidance and help. Understanding who is on your team is the perfect way to figure out how to communicate with them. 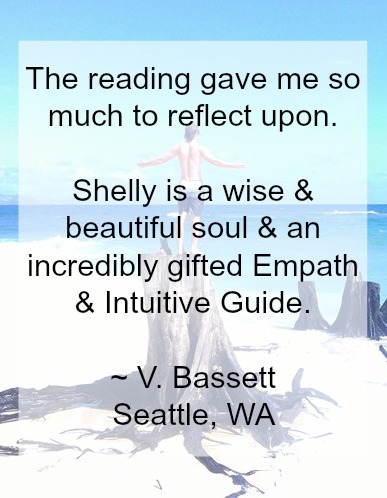 If you are ready to have a greater understanding of your Spirit Guides, a Spirit Guide Reading is what you need! Most importantly, you will learn the message each Guide wants you to know at this time in your life. Are you ready to connect with your Spirit Guides? Are you at a crossroads in your career and need some guidance as to which route to take? Are you wondering what type of work might bring you the most personal growth? Are you mostly satisfied with your job but want to know how to adjust it to bring you more fulfillment? A Career Guidance Reading may be just what you are looking for! Every soul is born with specific gifts and personality traits that make them especially suited for one (or more) career paths. Career Readings are a great way to learn your unique soul gifts, talents, and traits that can help guide you in a direction of career satisfaction and fulfillment. During this reading, I will check the alignment of any career options you may be considering with your soul’s highest path and purpose. I receive this information in percentages, so it is very specific and can help you eliminate options that have low alignment. Prior to your reading I will access your Akashic Records to extract your gifts, personality traits, and talents that pertain to your career. I will also find out the life lessons you are learning in the area of career. Finally, I will connect with your Spirit Guides and Higher Self to find out what specific messages or information they would like you to know in the area of your career. Guidance Reading clients had to say about their experiences. I am so grateful to be able to connect with Guides, Spirit, and Humans on a level that hopefully bridges a gap for some and allows them to live their lives as their souls were meant to live. Trust me, I am still a down-to-earth, football watching, beer-drinking girl, but now I also get to align my grounded personality with my spiritual side to hopefully help others find a sense of balance and clarity themselves. DISCLAIMER: Readings are provided to be used for your own spiritual growth and are not intended to take the place of advice from your mental health professional, your financial counselor, your doctor, attorney, or any other professional. Please know that readings are designed to help you learn more about yourself and any information received is for you to use in the way you see fit. All content and images are the sole property of Shelly Ebeling. © 2018 Shelly Ebeling. All Rights Reserved.